The good news is that all vehicle systems, including the main engine, thrust vector control, structures, avionics, software, guidance algorithm, etc. were picture perfect. Falcon's trajectory was within 0.2 degrees of nominal during powered flight. However, at T+25s, a fuel leak of currently unknown origin caused a fire around the top of the main engine that cut into the first stage helium pneumatic system. 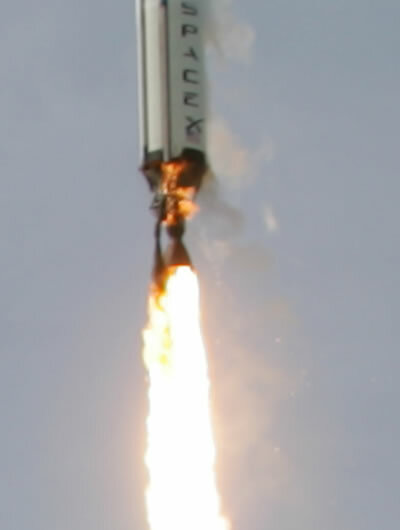 On high resolution imagery, the fire is clearly visible within seconds after liftoff. Once the pneumatic pressure decayed below a critical value, the spring return safety function of the pre-valves forced them closed, shutting down the main engine at T+29s. It does not appear as though the first stage insulation played a negative role, nor are any other vehicle anomalies apparent from either the telemetry or imaging. Falcon was executing perfectly on all fronts until fire impaired the first stage pneumatic system. Our plan at this point is to analyze data and debris to be certain that the above preliminary analysis is correct and then isolate and address all possible causes for the fuel leak. In addition, we will do another ground up systems review of the entire vehicle to flush out any other potential issues. I cannot predict exactly when the next flight will take place, as that depends on the findings of this investigation and ensuring that our next customer is comfortable that all reasonable steps have been taken to ensure reliability. However, I would hope that the next launch occurs in less than six months. 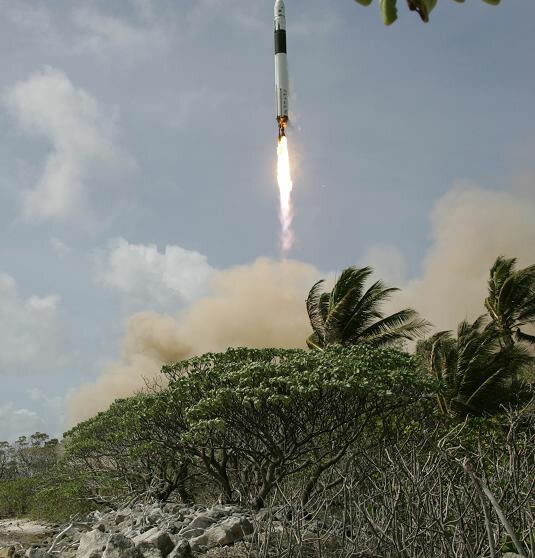 It is perhaps worth noting that those launch companies that succeeded also took their lumps along the way. A friend of mine wrote to remind me that only 5 of the first 9 Pegasus launches succeeded; 3 of 5 for Ariane; 9 of 20 for Atlas; 9 of 21 for Soyuz; and 9 of 18 for Proton. Having experienced firsthand how hard it is to reach orbit, I have a lot of respect for those that persevered to produce the vehicles that are mainstays of space launch today. I am very encouraged and grateful that our launch customers took the time to call and express their support of SpaceX when their reaction could easily have been the opposite. We will stand by them as they have stood by us. SpaceX is in this for the long haul and, come hell or high water, we are going to make this work. As SpaceX is a company that believes in maximum disclosure (within the boundaries of proprietary data and ITAR restrictions), I will try to post as much as possible about this launch attempt over the coming weeks.